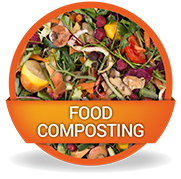 Please select your county to view the County Council Waste Management Bye Laws in your area. 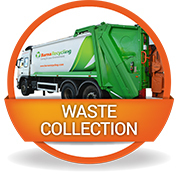 Since November 23rd 2013, we have been servicing your bins on behalf of Galway City Council. We hope you are happy with the service and look forward to managing your waste collection needs in 2014. Galway City Council will be sending you their last bill in early January for any waste charges due for the last four months of 2013. In late January you will receive your bill for €53.00 for the service charge for January 1st to April 30th. If you have any questions regarding the service or would like to discuss any additional needs with us, please call us on 0818 287 010. Remember, with Barna you don’t just get a reliable bin collection service you get discounts on Skip Hire and Bring Bank Services. 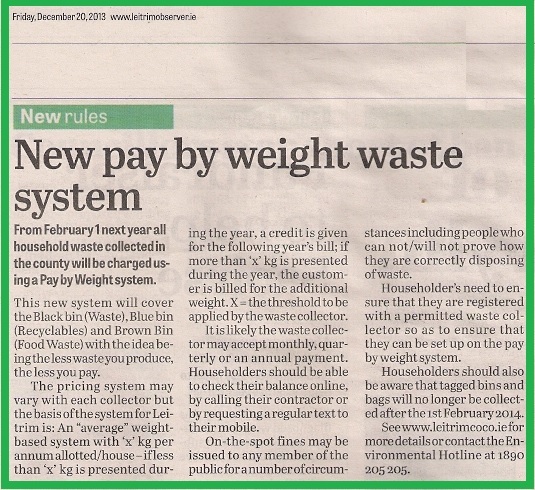 New Leitrim County Council Waste Management Bye Laws Introduce Pay By Weight System for all Waste Collection in the County. As a result Barna Recycling Tags & Bags will no longer be available to customers from February 3rd 2014. Contact Us Today For More Information Call 1890 200 425. Read this article from this weeks Leitrim Observer for more.